There have been many excellent reviews of Pelikan’s P16 Stola III published since it was released back in 2015. I did not acquire one of these when they became available because I tend to favor Pelikan’s long revered piston filling mechanism over most cartridge/converter models. That said, an opportunity arose during the recent Pelikan Hubs event in Philadelphia, thanks to Frank from Federalist Pens, which allowed me to add a P16 to the flock. After using the pen for the past several weeks, I felt the need to add my voice to the reviews out there, largely because of how pleased I have been with this model. I am a piston user by preference and generally have a bit of disdain for the cartridge pen. I was softened to the cause of the cartridge pen after reviewing the P200 but was not won over. Despite my bias, the Stola III quickly had me forgetting about any misgivings and allowed me to enjoy the writing experience. It is a sharp looking pen with a surprisingly high end feel due to its metal barrel construction. It’s also priced quite reasonably for what you get. If you’re in the market for a cartridge pen, then I would have no qualms recommending the P16. Read on to find out why. The Perch’s focus is not just Souveräns and piston fillers. 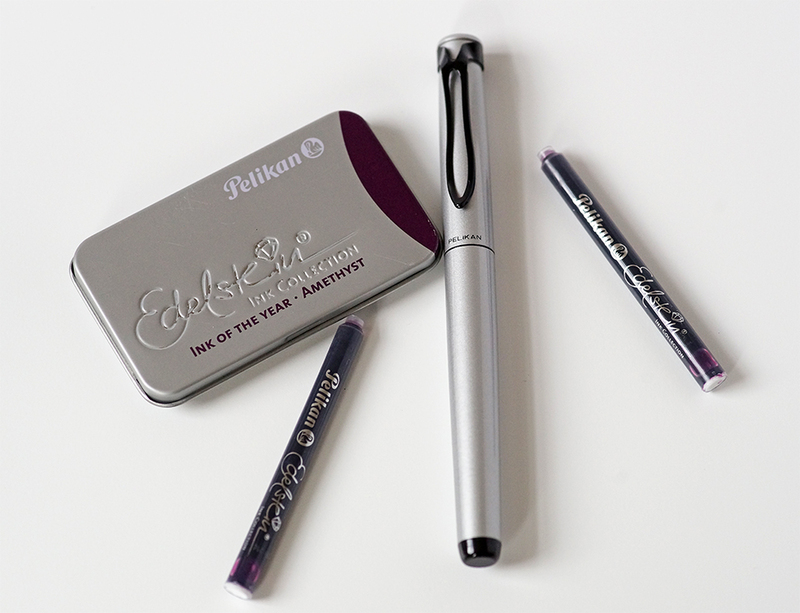 There is no doubt that a large segment of the fountain pen market is frequented by those who prefer the patronen-füllhalter also known as a cartridge/converter pen. If that is your preference, Pelikan will soon be serving up something new with the introduction of its upcoming Stola III (P16). Goldspot Pens first brought the Stola to my attention when they gave us a glimpse on their instagram feed earlier this week. Dein-Pen.de has also helped to supplement the available information with some fantastic product shots. 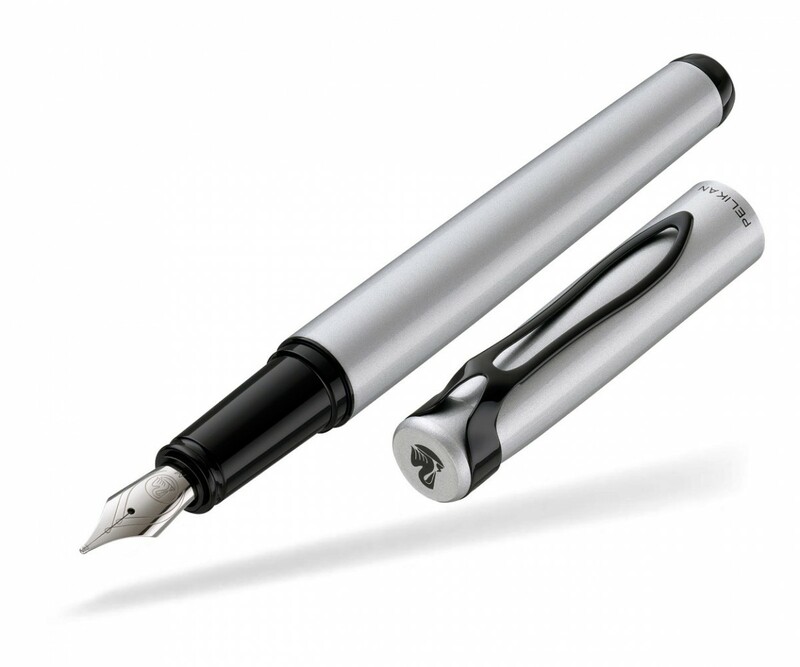 The pen demonstrates contemporary styling and will reportedly be offered at the affordable price of $45. The fountain pen will accept a cartridge or converter, most likely in the standard international format. Information is conflicting as to the make up of the barrel. It will either feature a plastic barrel or one made from painted aluminum. We will have to await further details from Pelikan in order to confirm. There is no word yet on what nib sizes will be available but I expect that we will see nibs offered in the standard sizes of EF, F, M, and B.